Over the past few years, I have waded through many cases that were horrifying. Some were nearly impossible to install and one even managed to scratch my iPhone 3GS last year. 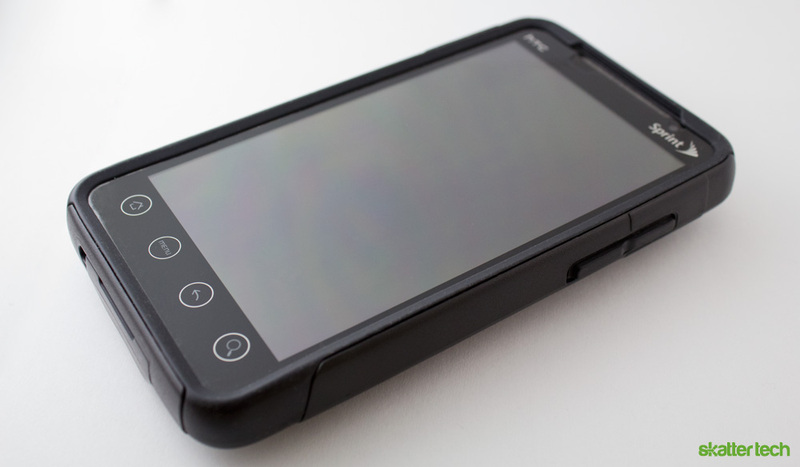 After settling on the OtterBox Commuter case for my Apple device, I choose to also go with the same lineup for my current HTC EVO 4G. Since I had a temporary courtesy HTC Droid Incredible on hand, the OtterBox team was kind enough to provide another sample unit. Commuter Series Cases ship with a semi-hard protective filament which take less than a minute to install. OtterBox generally provides a cleaning cloth and an application card to make life easy. These are dry and self-adhering unlike Zagg’s wet-install screen protectors, which can get messy. Both models perfectly cover the front face of the EVO 4G and the Droid Incredible, respectively. I did not notice any degradation when it comes to touch sensitivity or screen visibility, which is a plus. When it comes to installing the case, the EVO or the Droid Incredible first slip into a soft silicone skin. Once inside, I had to snap a polycarbonate outer shell over each device. Since the silicone skin sometimes does not fit into the outer shell in one shot, some minor adjustments might be necessary. The entire hassle-free process take under five minutes. Even the packaging was easy to open. While most cases are either silicone or a hard shell, the Commuter Series is a combination of both. The inner layer provides shock protection while the outer polycarbonate shell creates a strong exoskeleton. OtterBox leaves openings for the camera, flash, speaker, and microphone areas. Silicone flaps prevent dust from entering the headphone jack or the microUSB charging ports. The skin even covers power buttons and the volume controls on both HTC devices, but these controls are fully functional through the case. Slipping it in our out of a pocket is easy too. I am fairly careful when it comes to taking care of my gadgets, but I have managed to drop my phone in a few rare occasions. Thanks to the Commuter Case, my HTC EVO 4G survived a five foot fall on hardwood floor without the slightest scratch. The HTC Droid Incredible model is even more robust looking and it offers slightly better protection. 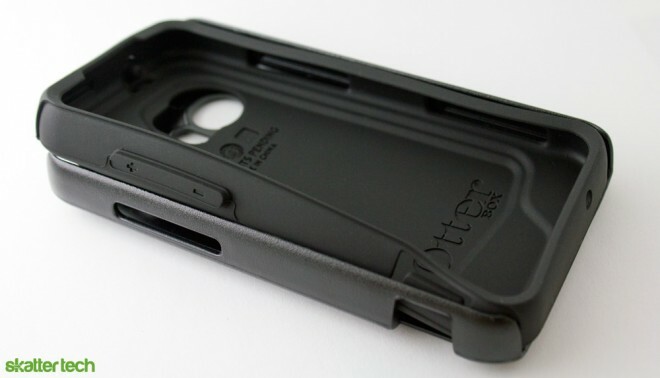 Although this review focuses on HTC specific models, OtterBox also makes Commuter Series cases for Apple, BlackBerry, LG, Motorola, Nokia, Palm, Samsung, and Sony smart phones. 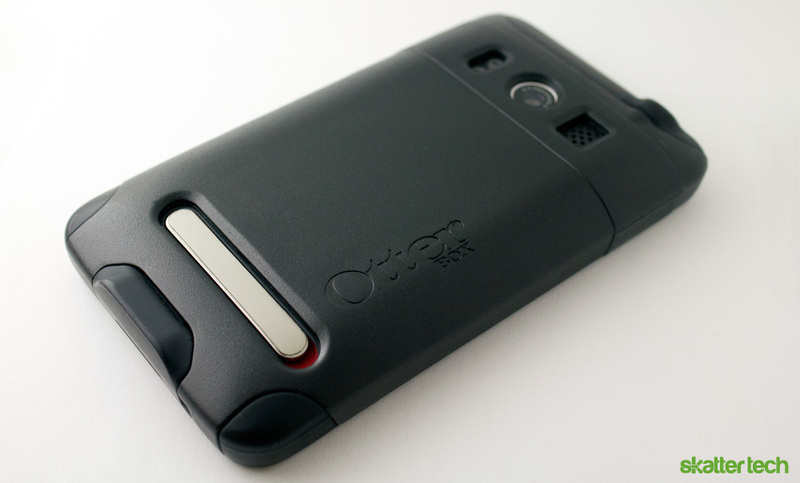 OtterBox offers three lines of cases: Defender Series, Commuter Series, and Impact Series. The Defender Series offers heavy-duty protection for the reckless, but it adds an excessive amount of bulk. The Impact Series is affordable and slim, but it offers minimal protection since it only consists of a slightly hardened silicone skin. This makes the Commuter Series a perfect mix of both with minimal bulk and great protection. With backing from a trustworthy brand name such as OtterBox, I would definitely recommend these cases. Although I have not tested every model, I am confident that other iterations of the Comuter Series for other devices are just as reliable. The HTC EVO 4G model retails for about $25 and the HTC Droid Incredible model goes for just $20. As painful as it is to spend more money after buying an expensive smart phone, these few extra bucks are undoubtedly a worthy investment. Ordered one of these cases for my evo and cant wait to receive it. You are so right that getting a solid case for the smart phone is a worthy investment.